Wast of money and effort! The App won’t let you upload files from photo albums and you have to scan papers by the app’s scanner and it is the worst scan ever!! They are fuzzy and glared, not readable ! I don’t know why this app exists in app store in the first place ! And how they got these ratings! So far easy to use. Video not working, though. I am always on the go with my boys.. this app allows me to do work, catch up on household tasks that require getting the info there quickly. Glad to have found this service when I didn’t have access to physical fax! Video link for instructions doesn’t work. Cannot open from pdf or word. I had 11 pages... I sent 6 pages... and now I have -1 pages. This has happened every time I fax. I have to buy 10 pages every single time and it always ends up saying I have less than I actually used. Like using the Fax it app it’s easy and you can use it anywhere without going to a place to fax a paper. 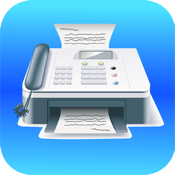 Great little app, replaces scanner and fax machine! Dont need scanner and fax machine no more! I tried using another app and it was a disaster. This app is pretty user friendly and gives you the first 3 pages free. I loved it! 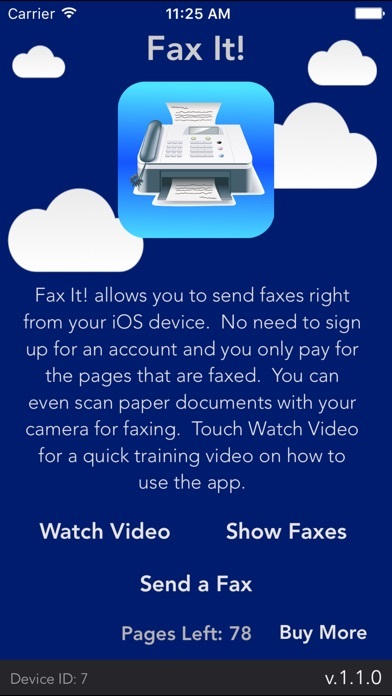 Not everyone uses faxes anymore but this app is really convenient for those that you have to send one to. Looking for an app to fax medical documents since I no longer have s phone line. So far this works great and easy. This app handles all of my faxing needs. I can include a cover page if needed or just send the fax straight. And I can scan the documents right in to the program which saves me time having to scan elsewhere and get it to the program. Great time-saver!!! Simple to use. Great app. Pretty simple. Easy to use. Just download it and it worked as easy as 123. Very happy with this app I recommend it. Needed to sand a fax ASAP! This was perfect and only took 3 minutes. So far so good - it works well and is intuitive. Awesome app.. quick and easy to use I use it all the time! Works well when I need it! We will see if it works. Would be better if it allowed you to pick images from your camera roll. I’ve only used this a few times, but so far it really makes things very easy and it helps me to organize things and be on top of any paperwork that needs to get sent out! Keep up the good work with this app. So much easier than tracking down a fax machine! Thank you! 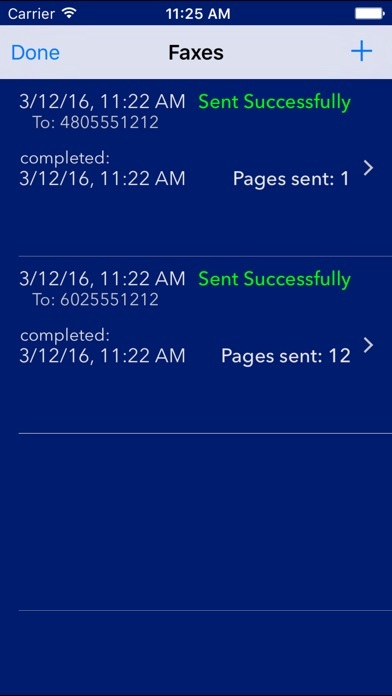 Love the app faxing without the machine. Great for my iPhone documents. Great App that can help you when you are on the go for sure ! 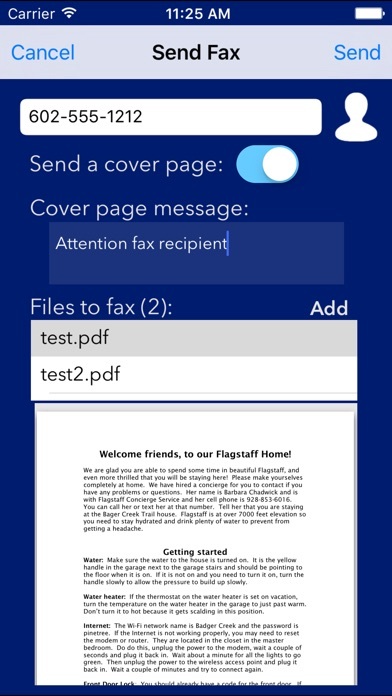 This app has saved me from making trips down to the local copy center to send faxes. Love that it leaves a history of sent faxes. Great way to send a fax!!! 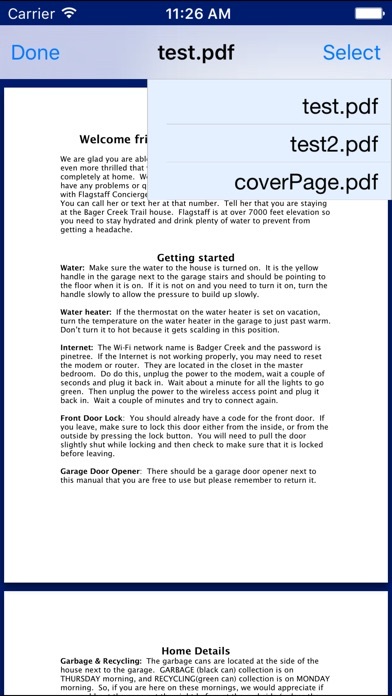 This is a wonderful way to send a fax using an iPad or iPhone Devices. I love it!! Pros: Very convenient Built in cover page generator Works well with both cellular and wifi Cons: Need to pre purchase fax sheets This app works well and accurately. I have used it in rural areas to send reports and they have always arrived. This app is very convenient and easy to operate. I love it because I can fax from anywhere as long as I have my phone.